Akayed Ullah’s wife has been questioned in Bangladesh. A MAN WHO is alleged to have detonated a pipe bomb strapped to himself in New York yesterday has been charged with terror offences. Akayed Ullah (27) has been charged with making a terroristic threat, supporting an act of terrorism, and criminal possession of a weapon, according to the New York Police Department. Bangladeshi counter terrorism officers today questioned the wife of Ullah and said he had visited the family in Dhaka in September. 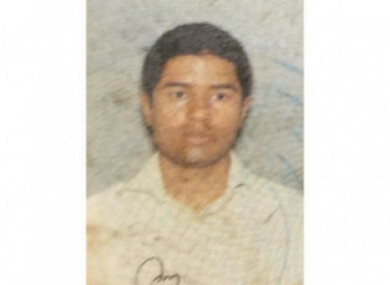 Police said Ullah, an immigrant from Bangladesh who set off a crude bomb strapped to his body in a crowded New York subway passage on Monday, had visited Dhaka after the couple’s baby son was born. “We are trying to know how he was radicalised and whether he had any associate,” senior counter terrorism officer Saiful Islam told AFP. He said police had raided the family home in Dhaka and questioned Ullah’s 25-year-old wife, Jannatul Ferdous Piya and her father, but that neither was under any suspicion. Ullah reportedly told US police investigators he wanted to avenge US airstrikes on the Islamic State group and was also inspired by Christmas terror plots in Europe. Police in Bangladesh say he has never appeared on a watchlist there. Mofazzal Hossain, caretaker of the family apartment in Hazaribagh in the old part of Dhaka, described him as “pious and a gentleman”. The secular government of Prime Minister Sheikh Hasina has vowed to root out extremism but says international radical groups do not operate inside Bangladesh. The Bangladesh embassy in Washington DC condemned the New York bomb attack and restated Bangladesh’s “zero tolerance” approach to extremism. “A terrorist is a terrorist irrespective of his or her ethnicity or religion, and must be brought to justice,” the embassy said in a statement. Email “New York subway bomber suspect charged with terror offences”. Feedback on “New York subway bomber suspect charged with terror offences”.